by Mercedes Lackey. I was introduced to this series by my daughter and every couple of years I re-read it. This time, I started with Arrows of the Queen which is really in the middle. In the beginning, Baron Valdemar choose exile rather than face the wrath of a selfish and cruel monarch. Many of his people went with him. The monarchs of Valdemar welcomed fugitives and fellow exiles along with the customs and habits of its people. The one rule which all monarch's ruled over their people was that "there is no one true way". Baron, now King, Valdemar, knew himself to be a good and righteous and that his son was also but what of those that followed. What can he do now to protect his people when he is gone. The King went into the forest at night and prayed to every god he knew for help. His son went with him, and his best friend, the Kingdom Herald. Then three "horses" appeared before them. There was a mental bond between Companion (not a horse at all) and rider. There can only be one King, and only one Heir but there can be many Heralds. So the Heralds came to be. The heir shall not truly be the Heir until chosen by a Companion who only chose those who were patient, unselfish, responsible and capable of heroic devotion to duty; plus had at least a trace of psychic ability. In this way the country will always be ruled by a patient & unselfish King. It is possible to enjoy, even understand, a grouping of books without reading the whole thing but things that happen in the last group, are because of things that happened in the first group! If you were to tell me that you didn't want to read all of them, only three, I'd say the Arrows trilogy. However, if you're willing to read more, start with Exile's Honor and then down the list. For a truly unique world, start at the beginning and enjoy. I've read the Arrow's trilogy and Exile's Honor this month and will be starting Exile's Valor later this week. I hope to re-read AND review the whole series this year. I've read 12 print books so far this year, plus eight ebook shorts/novels. If you check out my blog, you'll find that I've only review three & a partial books. So, no more starting another book until I get a couple more reviews up! Sooner or later, I've got to stop adding challenges! Maybe after I find one about re-reading. edited 3-24: All are titles read, changed out some, some are children's books or short stories and some use creative letters (like Wizard for Z). I can hardly believe I did it! edited to add picture & publish info, "Wow, a comment already! ", and... This book is for my banned/challenged category of the 999 challenge. I picked it because it was a children's book and I just love children's books. The librarian my children had in elementary school would not have taken this out of the school library but she may have placed it with "penguin" instead of the picture books. Usually the kindergarten kids stayed with the picture books. This is what she did with a Holocaust picture book. This is similar to Home Alone in that a family traveling in a motorhome miscounts after a stop and leaves one of the kids behind. Duncan, 8 years old, is the youngest child in a family of seven. Dad works and Mom takes care of the family & home. One Christmas the family decides to drive to an Aunt's home for the holiday and the Dad's boss offers them the use of his motorhome. At the first stop for gas and a treat of store-bought goodies, Duncan decides he has to "go real bad". He truly does but gets distracted by the paper towel dispenser and when he walks out to the gas pumps he finds the motorhome driving away. Now, you ask, how could they have missed him? Duncan sleeps with a very large bear and took the back bed so when the child who counted saw a pile on the bed and the bear's ear, she counted him as there! There is some comical situations, some prayer but not preaching, a miracle in a relationship and a happy ending. 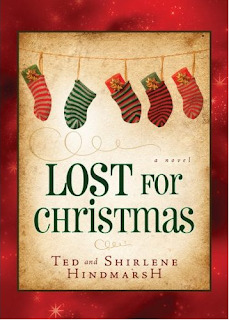 Cute, quick read, small enough to fit in some of the larger card envelopes and get mailed with your Christmas cards. Jack had heart surgery when he was a baby and must take medicine everyday for the rest of his life or he will die. So he & his mother were told by the London Specialist flown to Ohio just for him. Except, one day when Jack is 16, he forgets. And he's never felt better! Stronger, fiercer and more confident than ever before. Then he loses control and almost kills another player during soccer try-outs, never mind that the kid is a bully. One forgetful moment leads him into a world of waring wizards intend on capturing him to use in a tournament. A tournament to the death to decide the next ruler of the Council. Jack is one of the last warriors left and the two strongest fractions are looking for him, dead or alive. This book throws some history at you but it is a delightful read. A classic good vs evil but sometimes you can't tell who is on which team! Glad a read it? YES, will I read the next? Already ordered. Help Harlequin donate books to The National Center for Family Literacy. Every book you read, Harlequin donates a book. Just go to their site and post what you've read. We blog about them, let's take a couple extra minutes to help! You do need to register & sign-in to post your books but I still think it's worth it. ???? 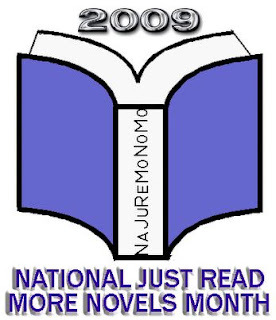 Actually, it's National Just Read More Novels Month! Novels only and no re-reads! Go here for rules and stuff.... I'm after the Gold Award for reading 10 novels in January but I think I'll be very happy with Silver. I've already got Blue for reading one novel this month and am way behind some of the others. 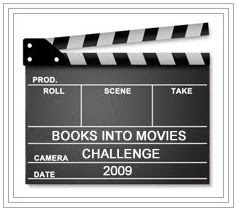 WOO HOO I've got another winner badge for reading three books. Woo Hoo, I've got GOLD! I've read the first couple of John Sandford's Prey books but seem to pick up something else instead for my next book. So I'm going to challenge myself to finish the series up to waiting for the newest release. Now, the next is being released May 5, 2009 and I'm sure I won't be ready so this will be a perpetual challenge - also because the series is still going! 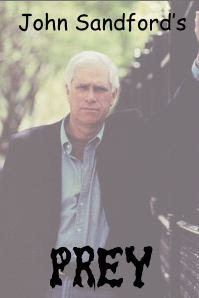 edited to add: WooHoo, I received permission to use the author's picture from his website! I modified it a bit and yea! Nope, no rules, just read the series. It would be nice if you posted about them and then came back and told us about it. When will I learn to say no???? As I've gone over my book shelves for my challenges, I've noticed books that have been there for what seems like years - who knows, maybe some have. I've got to clean up and clear out so when I saw a post for the Rescue Challenge, I had to check it out. "Help rescue those unloved books from the obscurity of the bottom of the tbr pile. There would be two parts to the challenge, the first would be to get rid of any books you know deep down you will never read, so whether you bookmooch, bookcross, give them away to a charity shop these books will take up less of your space and have the opportunity to be read. 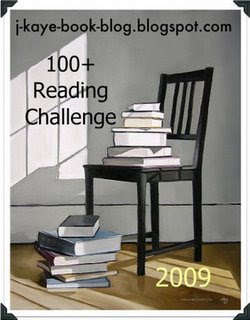 The second part of the challenge, will be to set up a pool of those unloved books and read between 3-6 of them between Nov 1st 2008 - Dec 31st 2009. Books can definitely count for other challenges as well, in fact this will probably urge you to read them, and you set yourself the amount of books you'd like to read. The prize, is simply space on your shelves and freeing yourself of guilt when you once again sweep past that copy to reach for a shiny new book." When we repainted downstairs & redid the flooring, all the bookcases were moved to the patio. One bookshelf worth of books landed on the stairs but all the others were put back on the shelves on the patio (covered but not enclosed). Strange thing is that when we moved everything back inside, I've still got books on the stairs because they don't fit anywhere. What's with that? Maybe I can send enough on to another place that I won't need to double stack my shelves and can actually see all of the books. 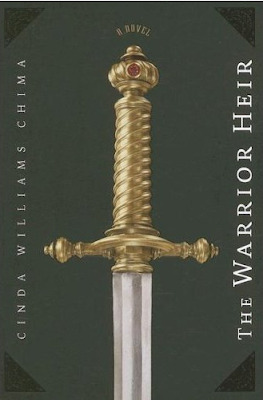 I found the Warriors series while browsing in the YA section. They sounded so good that I found the first set in the series and bought all six. I read the first one. And that was it. It was too late to return the other five and I didn't care to read them! Was it my mood? Too many other books? I don't know. I just know that all six sat on the shelf taking up space. Staring at me. I finally gave them to a friend who's daughter teaches fifth grade. Level 1: read four books, one for each season. Level 2: read 16 books, four for each season. That's it. Add your name to Mr. Linky and comment on what level you'll be doing. 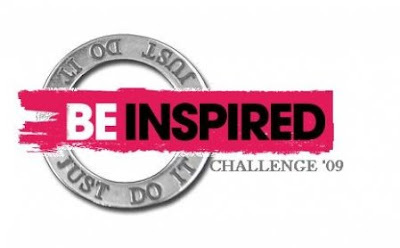 Please link to the page where you have your challenge books instead of to your blog. It makes it easier for others to follow your progress and see your book choices. I joined two more challenges but now I'm tired and haven't the energy to post about them. The text for the sidebar links would NOT work! 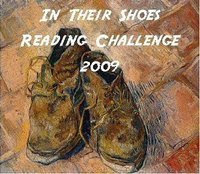 In Their Shoes is memoirs and since I have a non-fiction category on another challenge, planning on several memoirs/biographies, I thought I'd give it a try. I'll edit later or add another post. I also want to as a ticker for each challenge. 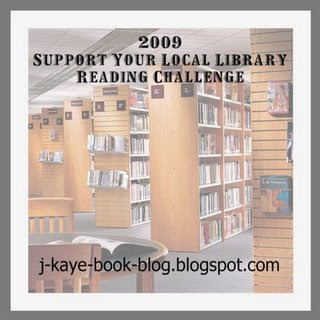 No one was around so I signed up for reading challenges for 2009. Twelve so far. Yep, so far. There are a couple I'm not sure about or haven't seen, I'm not locking the door to this. I've never seen the reason for banning/challenging a book. If you don't like it, don't read it. 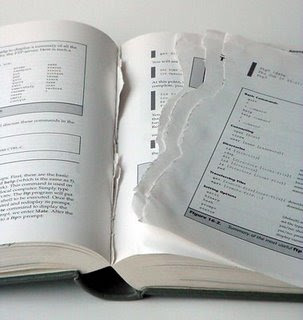 If you don't want your child to read it, fine but don't tell me that mine can't! And since I don't own all of these, I'll be able to use them for the Support Your Local Library challenge too! Alyce at At Home With Books is having a book giveaway. A publicist has put together a GREAT prize bundle, especially if you like young adult. You have until the 12th to enter so jump over for a bit and take care of that bit of business then come over and leave a comment! See? Sounds great! This one is going to be added to my virtual TBR list. 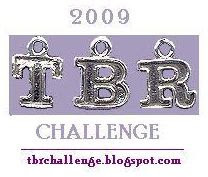 I thought it would be nice to visit the blogs of those who have signed up for the TBR Challenge. I was going to write down books from their list that I thought were interesting. I'm thinking it was a mistake. One of the bloggers has a whole list challenges she belongs to. Overlap is possible between challenges but still... 22 challenges? Someone needs to slap me because I'm considering adding reading challenges to my already overwhelmed outside life. So which side of the fence are you on concerning ebooks vs. print? I have both. Some of my favorite books are available as ebooks so I've purchased them again. It is comforting for me to know that I can "pick one up" when I'm far from home just because it is in my purse. On the other hand. I like to look at my shelves, take a book down and remember what it was about. Maybe flip through it and read a bit. I like to curl up on the couch and feel the book I'm reading. Then again, there are titles I'd buy as ebooks that I wouldn't purchase as print. I don't know if I'll ever give up all my print books for electronic but dang, I love carrying my library with me in a space lighter than my cell phone! 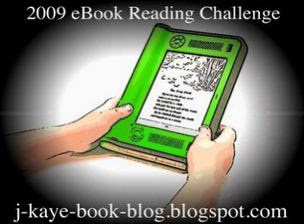 Notice that I didn't say what device I used or where I did my ebook reading. Let's just say that the couch works no matter what and leave the device debate for later. Have you ever thought about what a dragon's cave looks like? Do you imagine piles of jewels and coin ready to roll around in? My dragon's cave is actually a large library, yes, it does have a cave-like nook for napping. 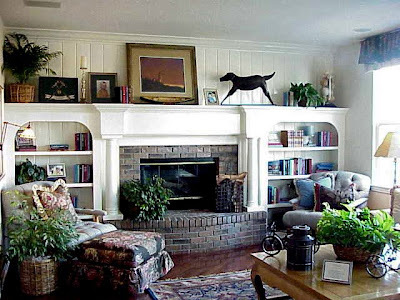 There are lots of bookcases, good lighting, comfortable chairs with tables for the next book to be read, lots of pillows, blankets and a great rug. Windows would be higher up to keep direct sun off the books. And, sad to say, the shelves are not made of wood. They're metal. Yikes, you say? Wood is wonderful. Wood is warm. Wood is beautiful. Yes, I agree, it all those things. However, it is also food for things that would destroy the books. I'll stick to metal, thanks, and hope. I'd love a fireplace but really, fire in a room full of paper? Sounds dreamy doesn't it. Sigh, well, it is. A dream I mean. My current library is spread though out the house/garage and is disorganized or in out of the way spots to the point of not knowing for positive if I have a book and if I do, where it is! So, yes, I dream of libraries like some people dream of chocolate. Okay, I'm not that bad, but it's close! *no, it's not one of my personal rooms but I love it and wish it was-with a few minor changes. 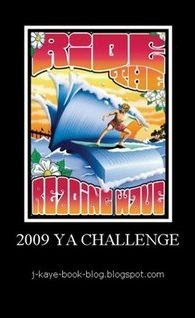 Welcome to my 2010 Challenge pageEach name is a link to my post about the challenge. That is where you'll find where it is hosted, what the requirements are, the time frame and my progress/list of books. Or a link to wherever my book list is.